Dallas-Fort Worth Courier and Delivery Service. 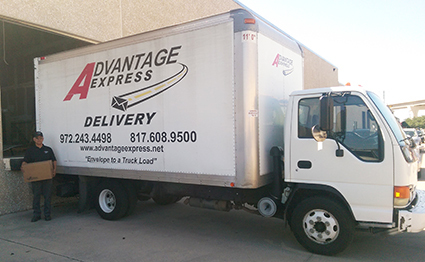 Serving the DFW Metroplex! 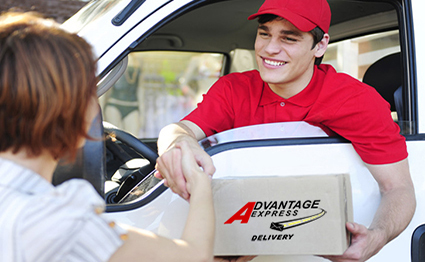 We utilize "State of the Art" technology, such as Web Order Entry with Tracking and digital communications. You name it and we'll get it done! We build our business around your business. For information about how our services can benefit your company, please contact us! 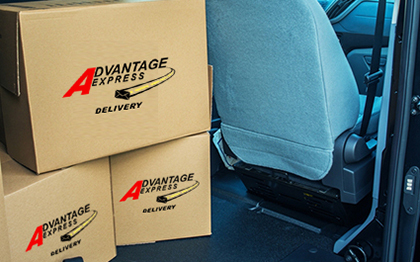 Advantage Express Delivery has over 30 years of combined experience, a dedicated staff and professional drivers, we are considered a leader in the delivery business. For further information about how our service can benefit your company, please telephone us and we would be happy to meet with you at your earliest convenience. 90 MINUTE, 2 1/2 HOUR, 4 HOUR, SAME DAY, ROUTE DRIVERS, DEDICATED DRIVERS, BANK DEPOSITS, COURT FILINGS...ENVELOPES TO PALLETS!